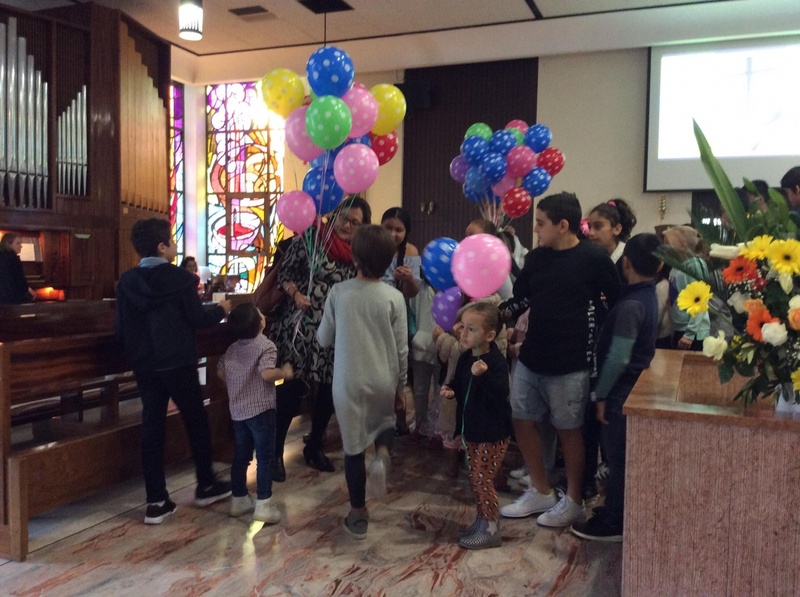 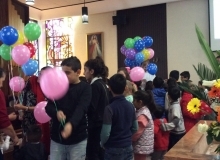 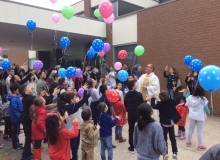 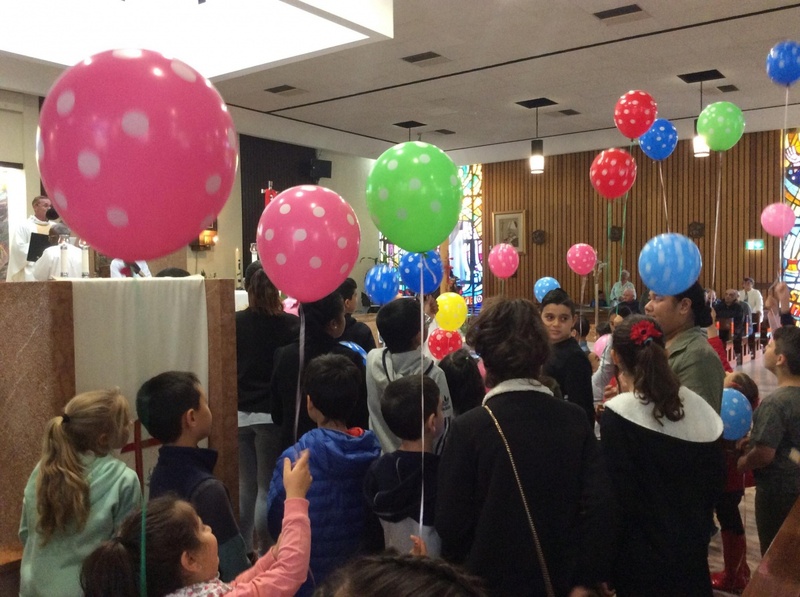 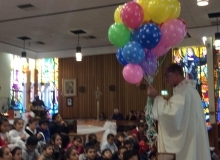 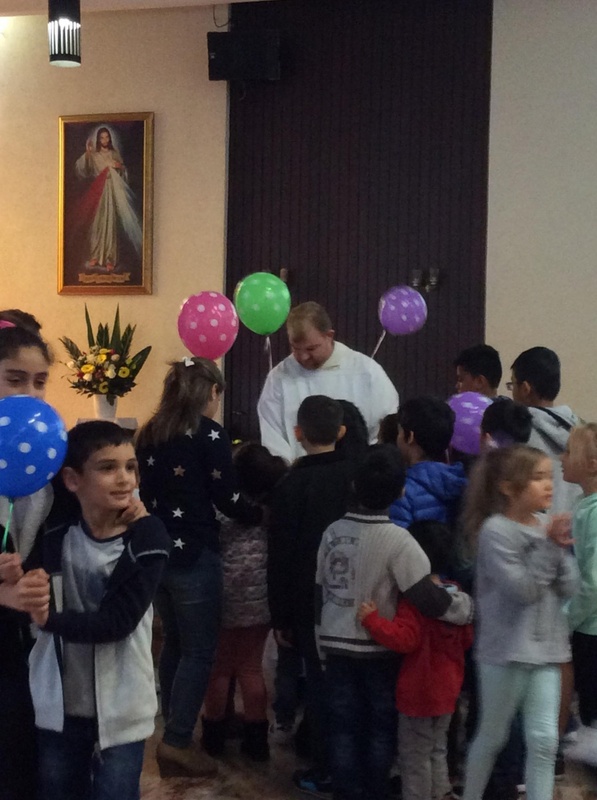 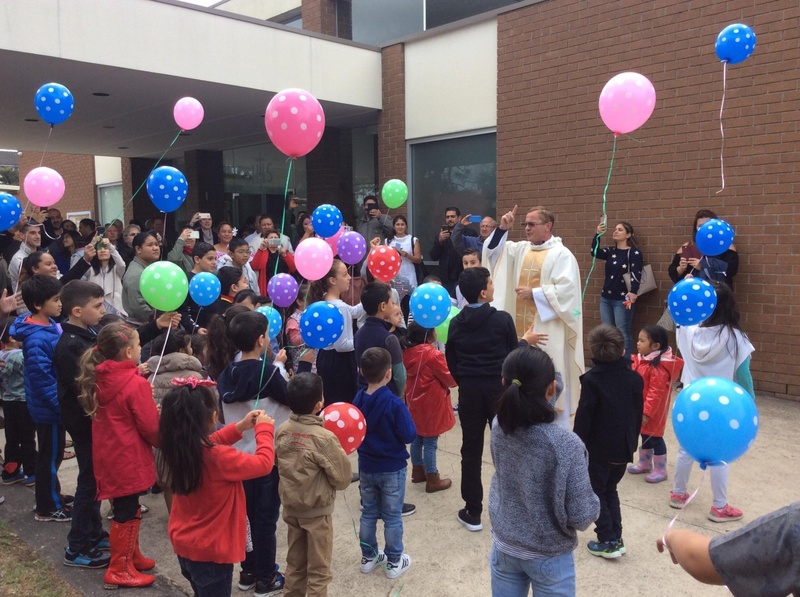 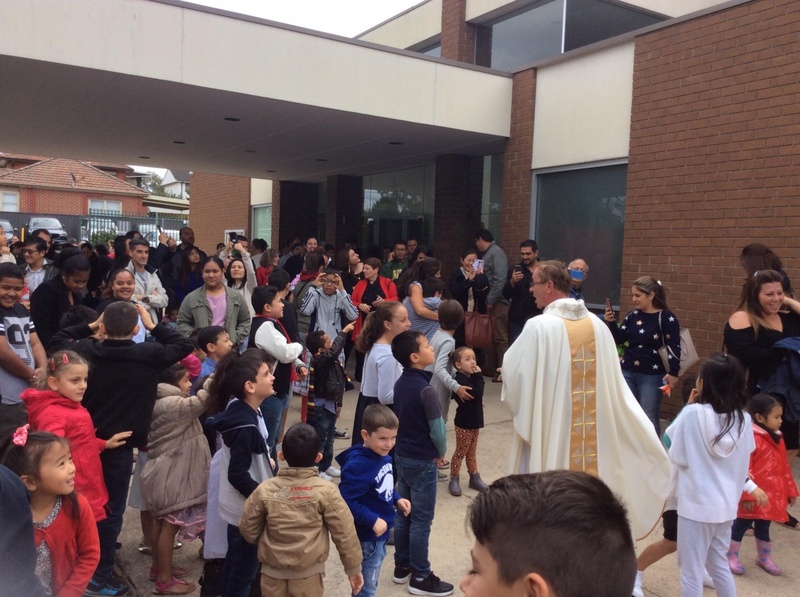 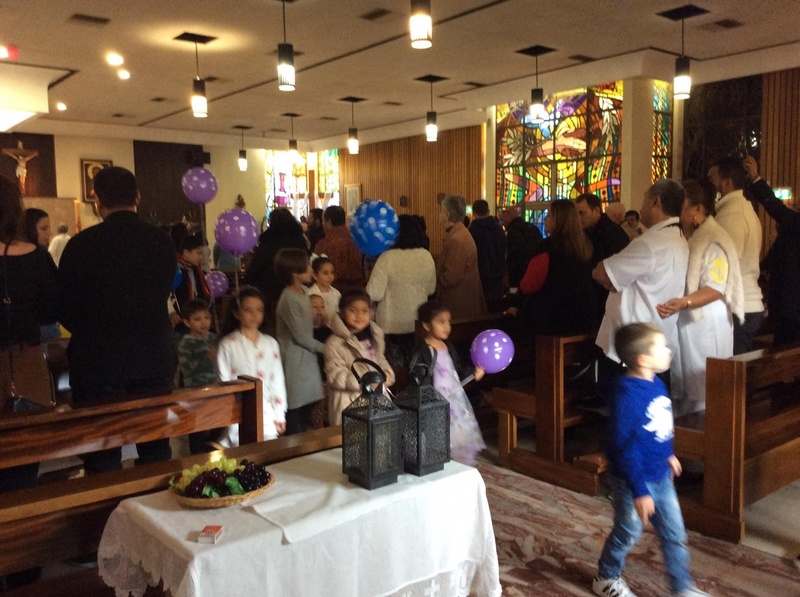 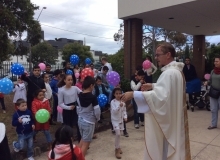 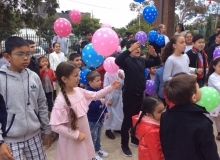 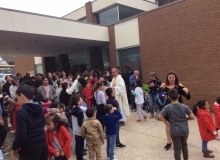 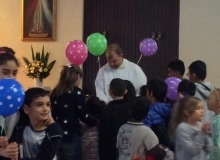 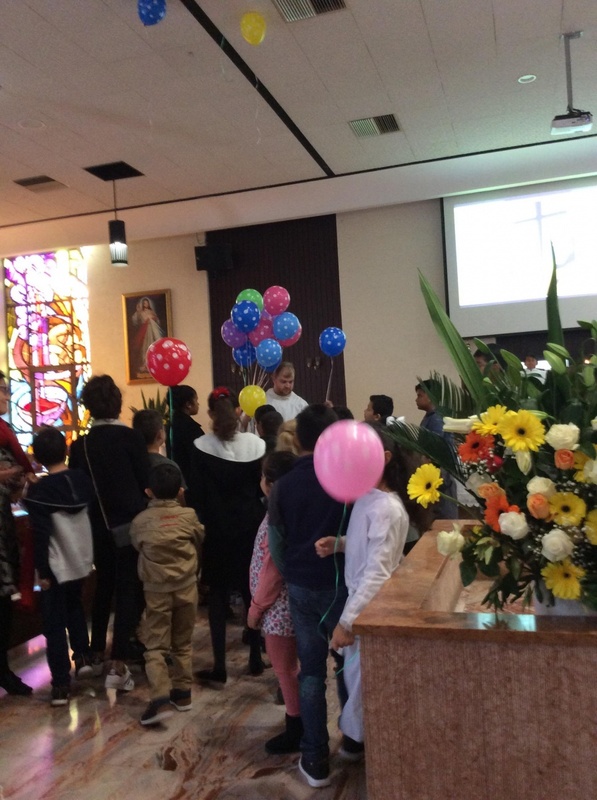 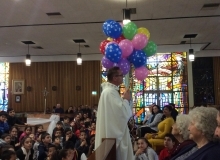 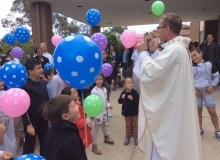 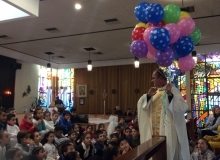 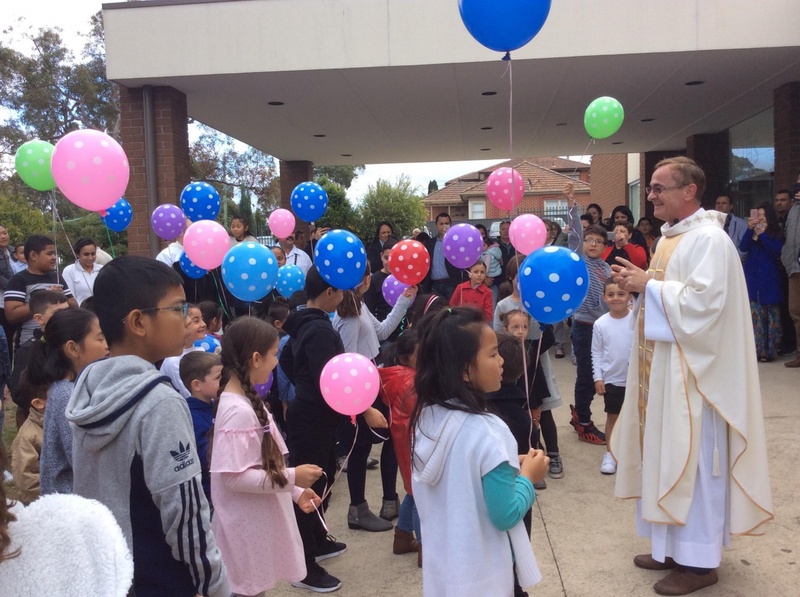 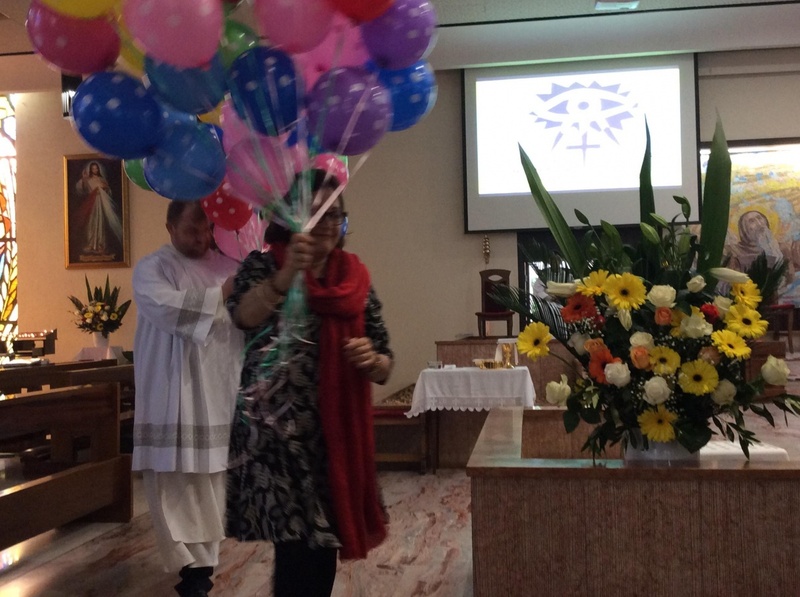 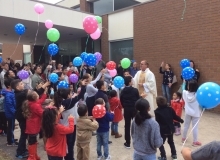 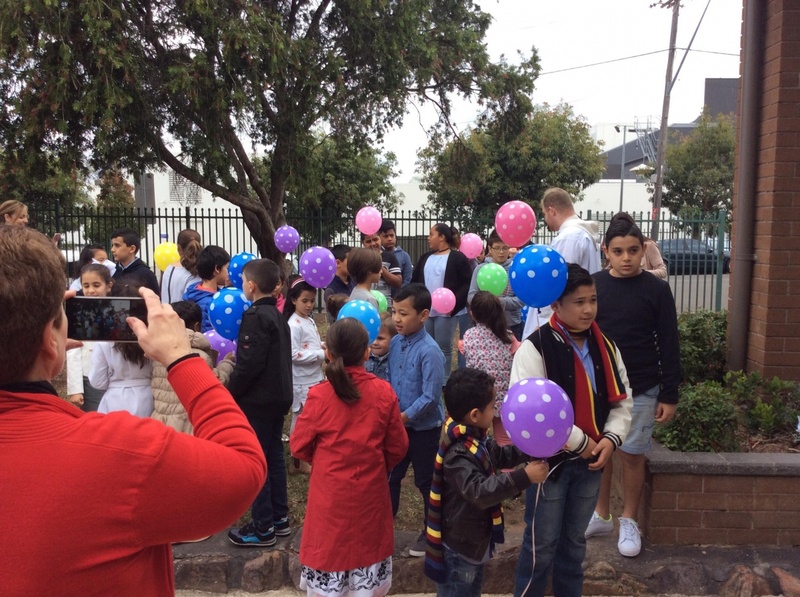 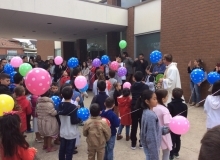 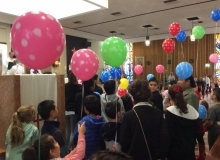 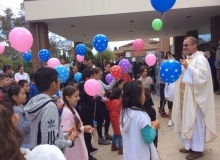 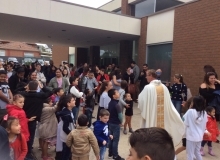 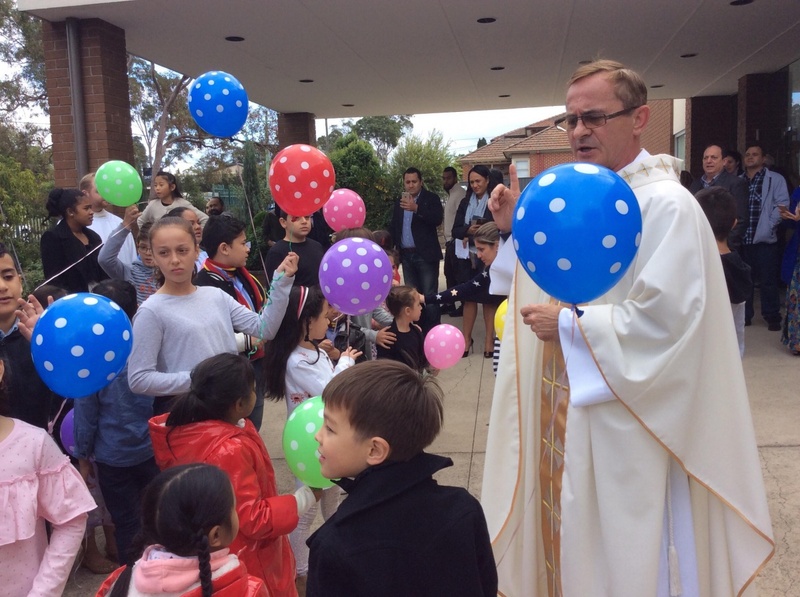 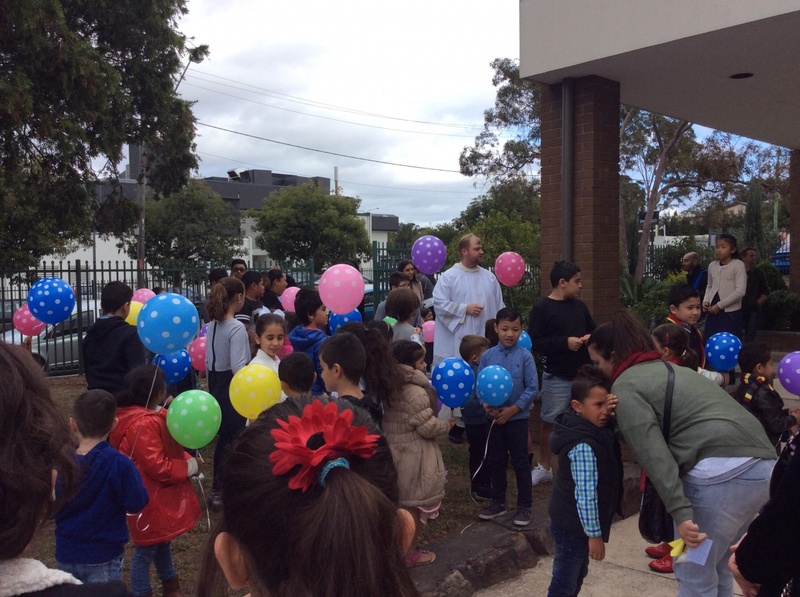 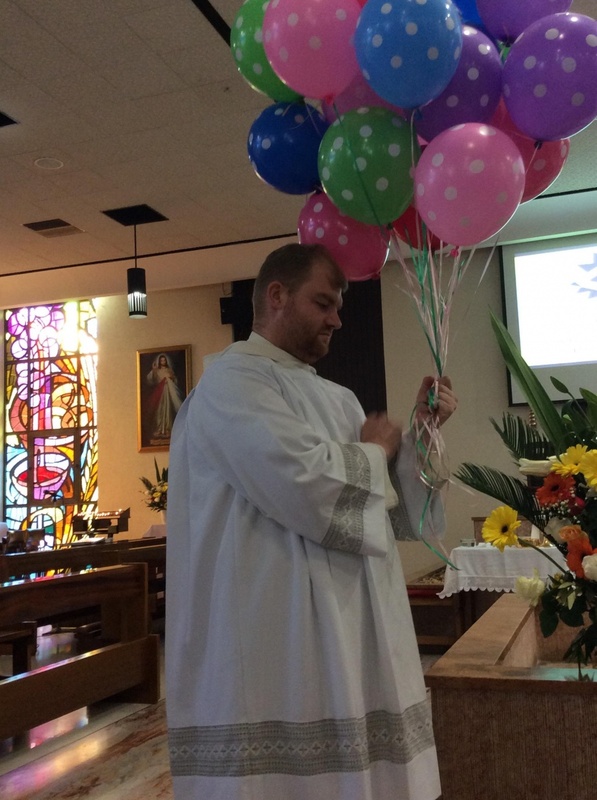 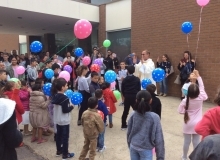 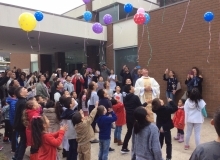 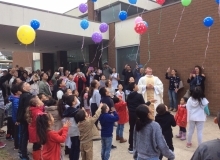 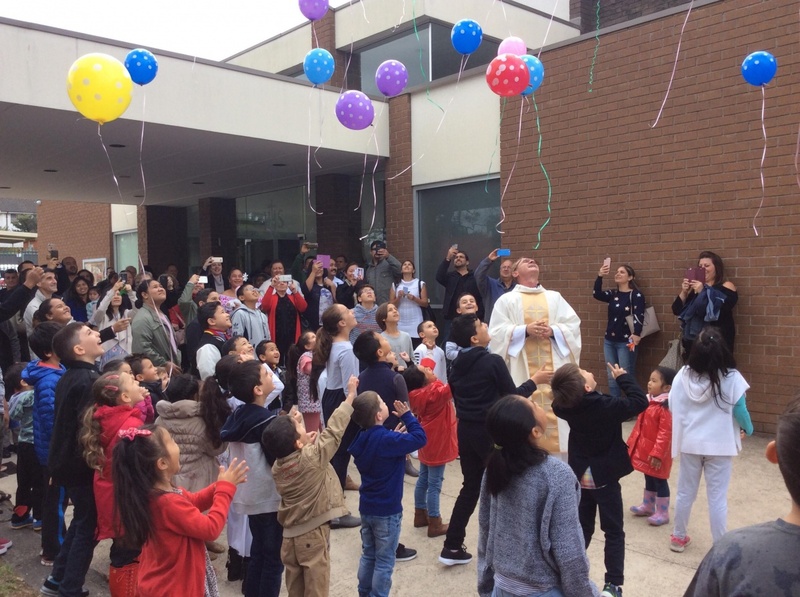 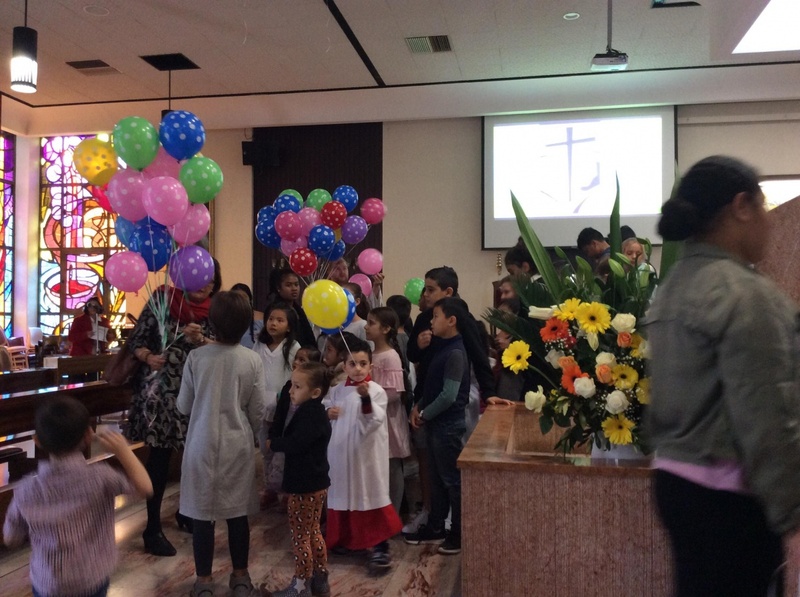 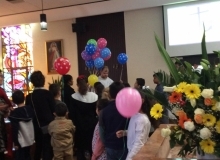 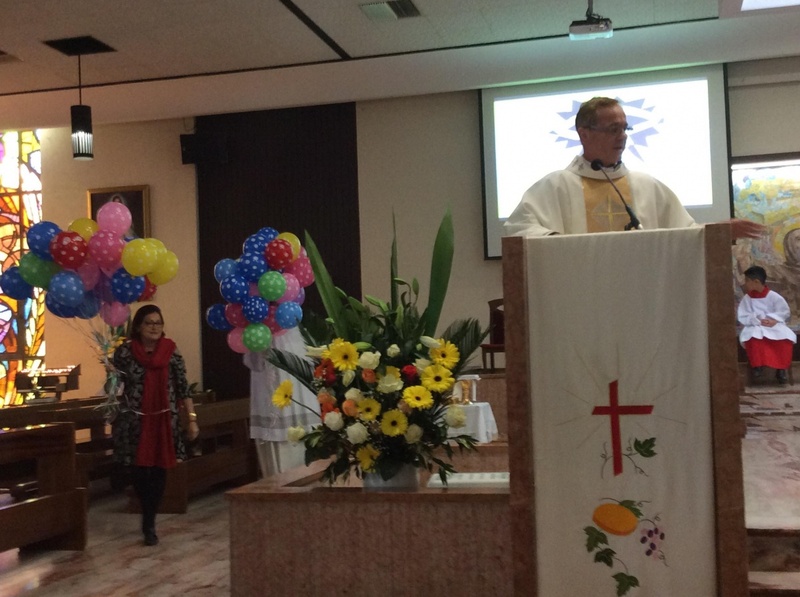 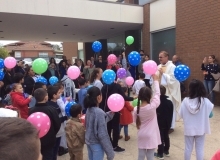 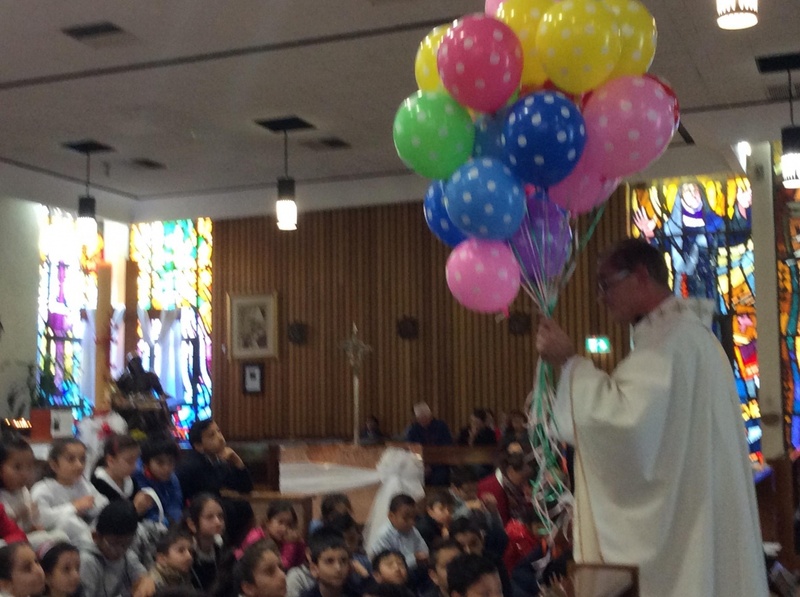 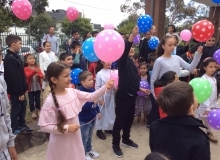 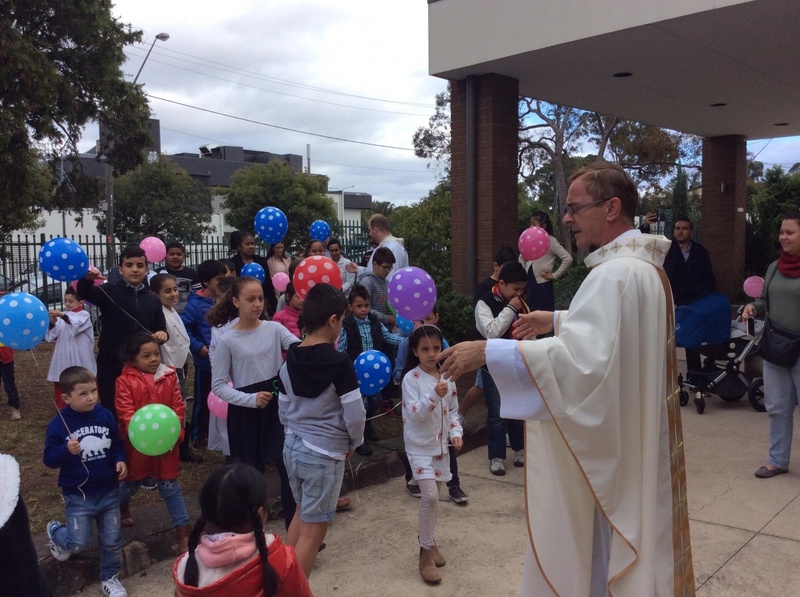 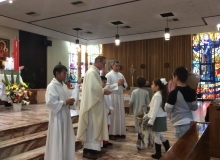 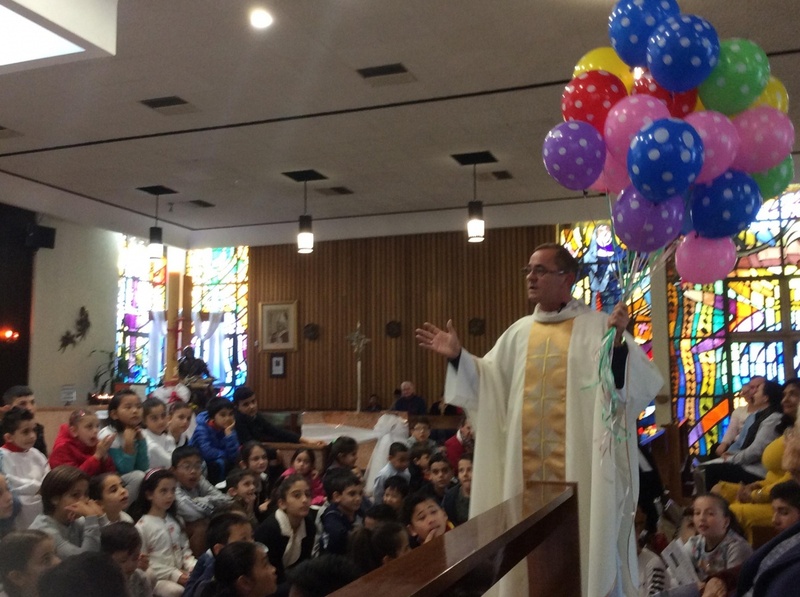 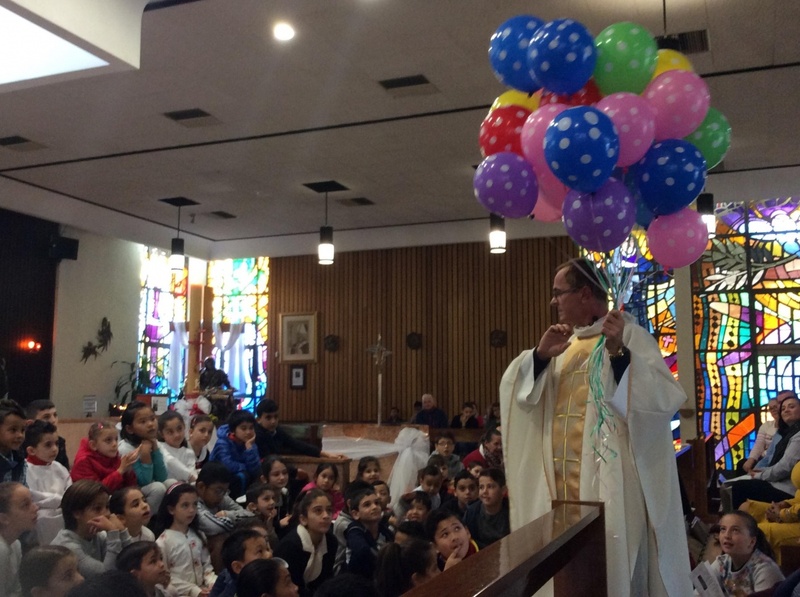 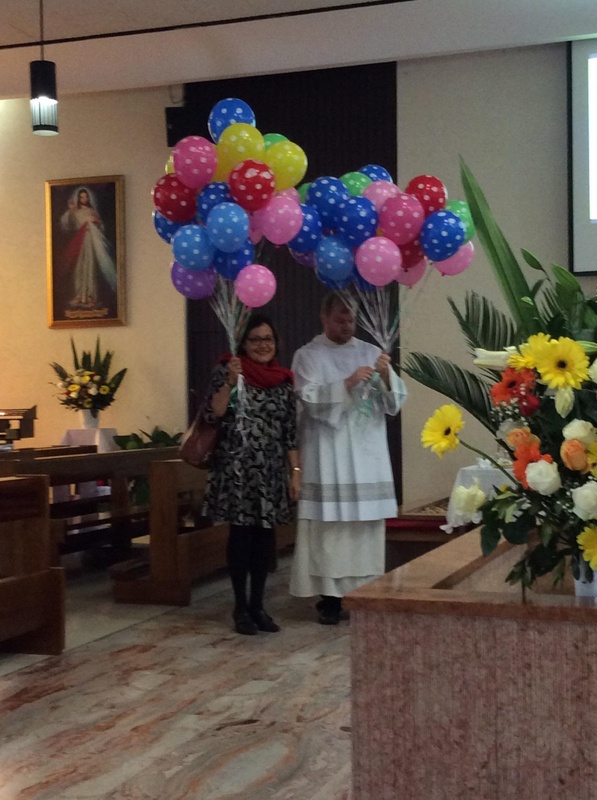 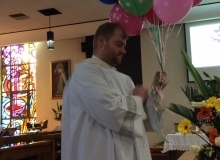 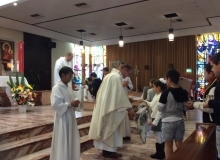 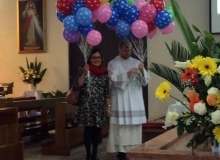 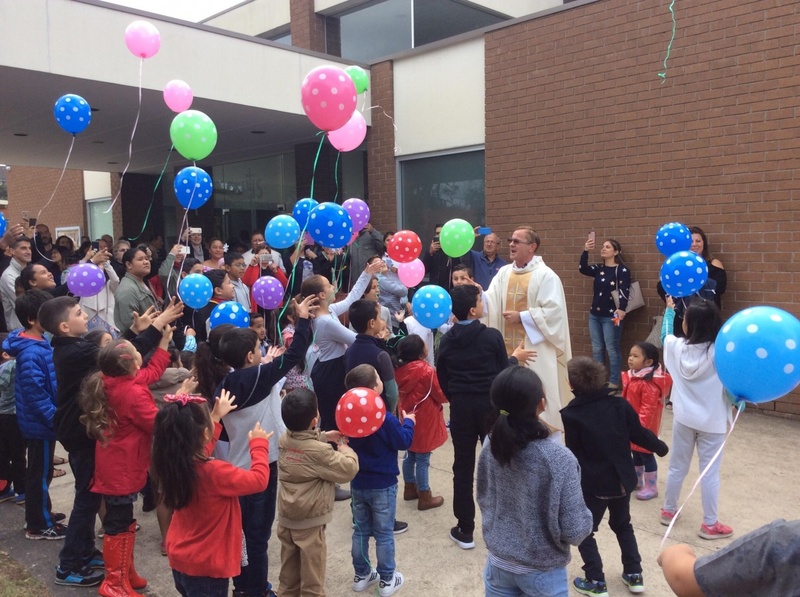 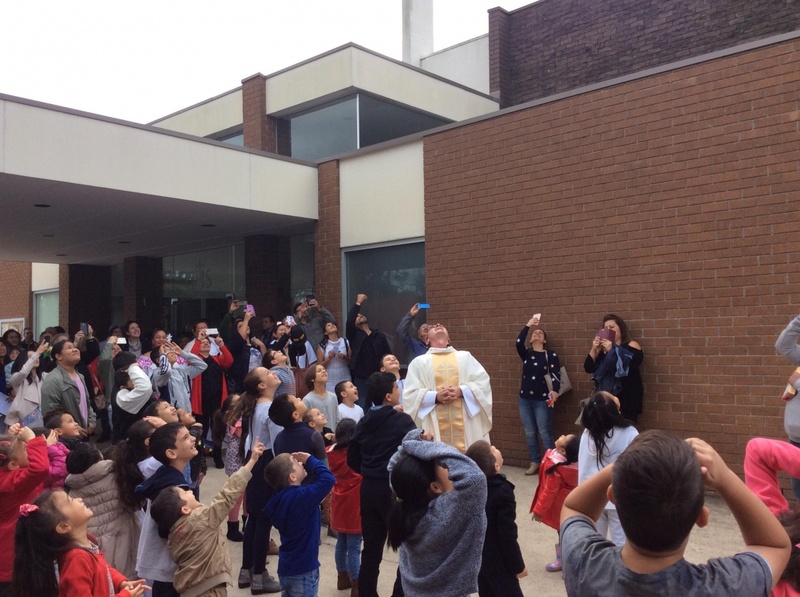 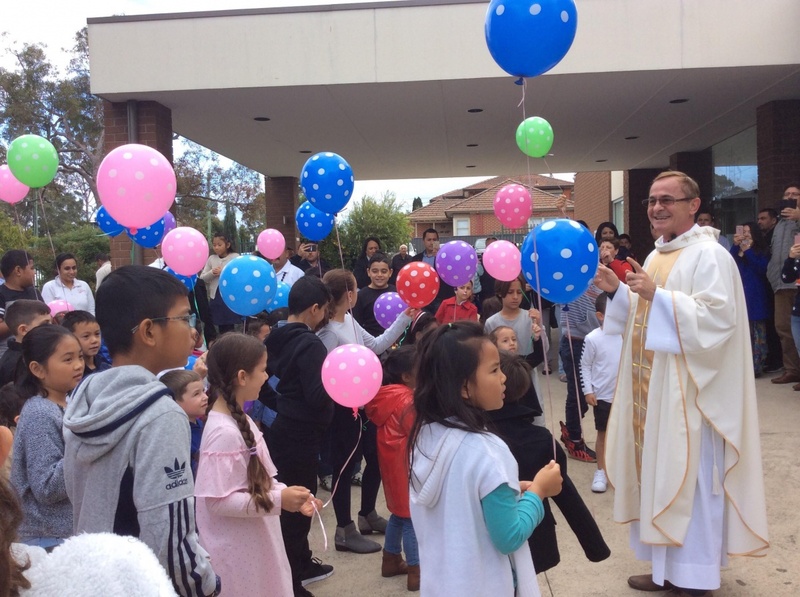 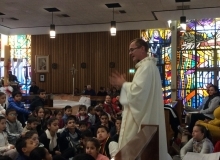 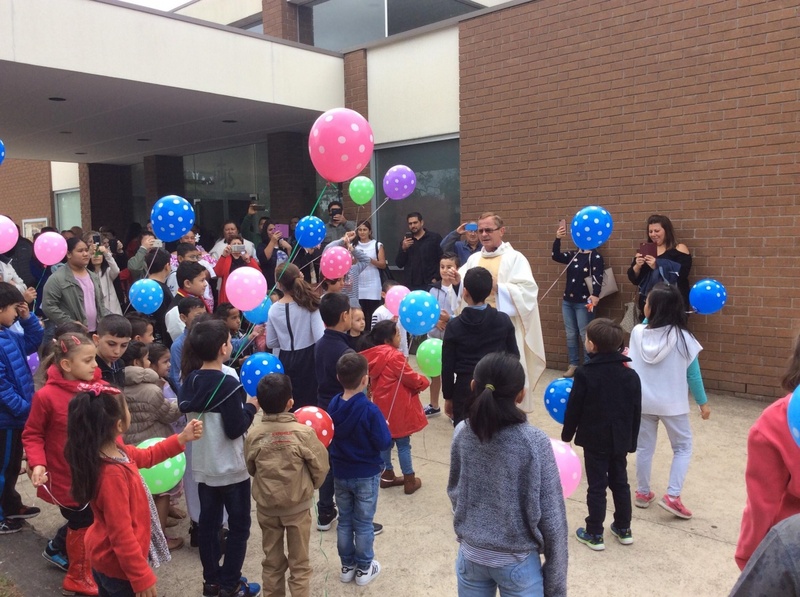 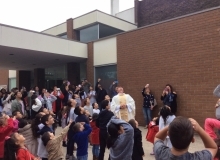 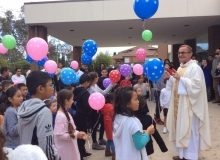 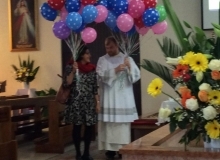 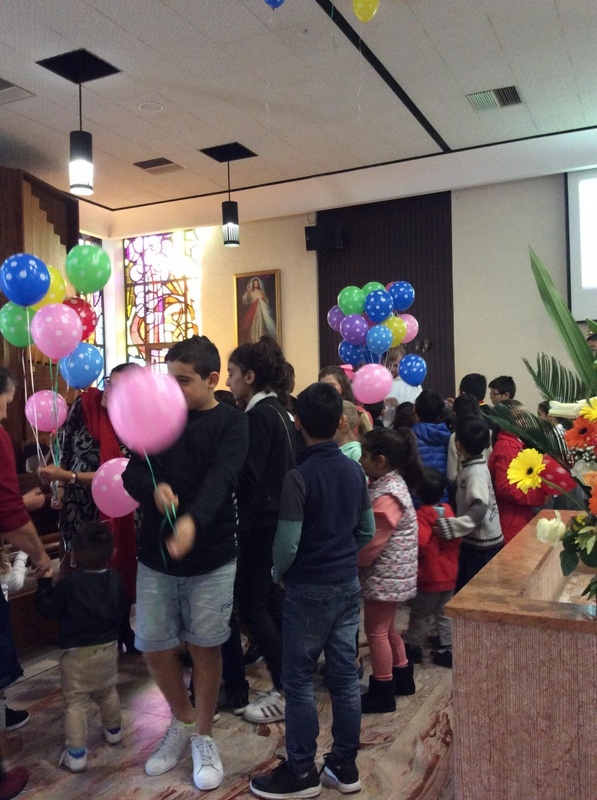 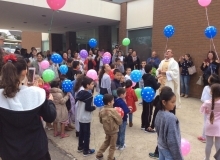 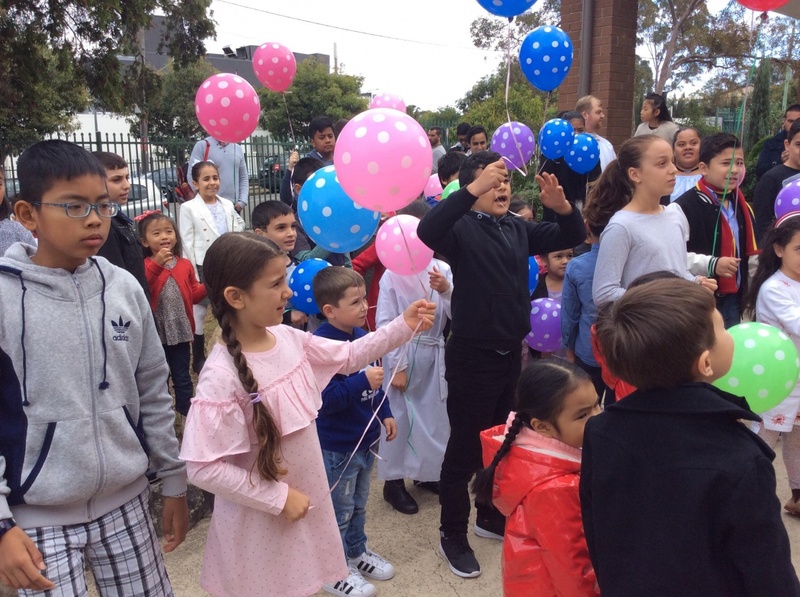 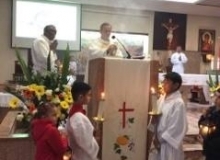 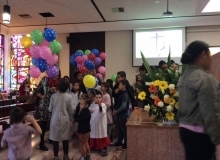 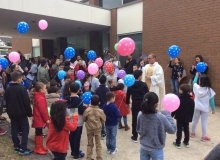 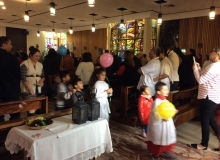 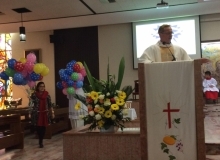 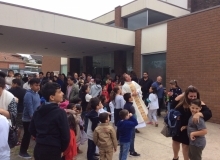 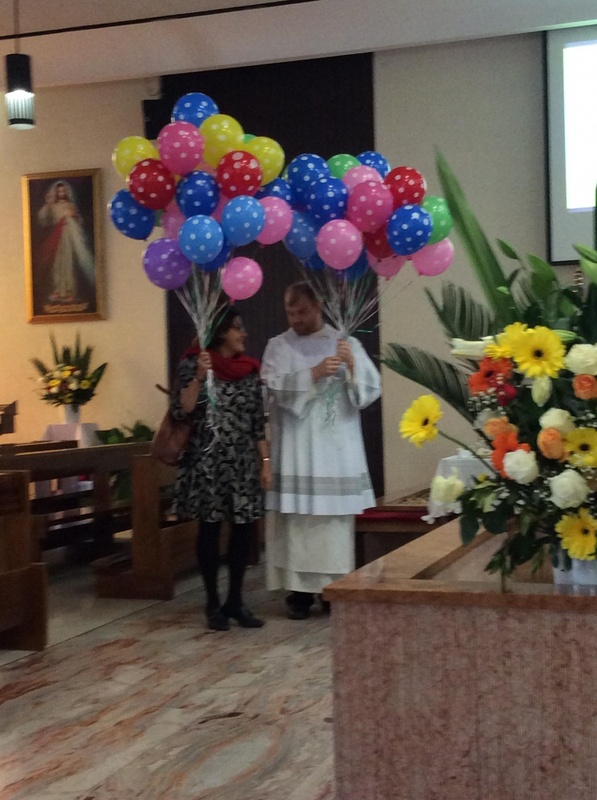 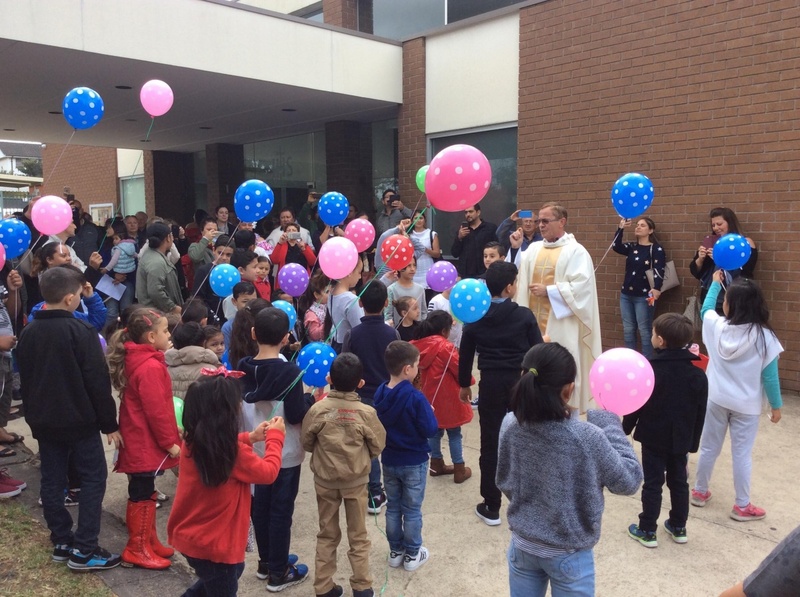 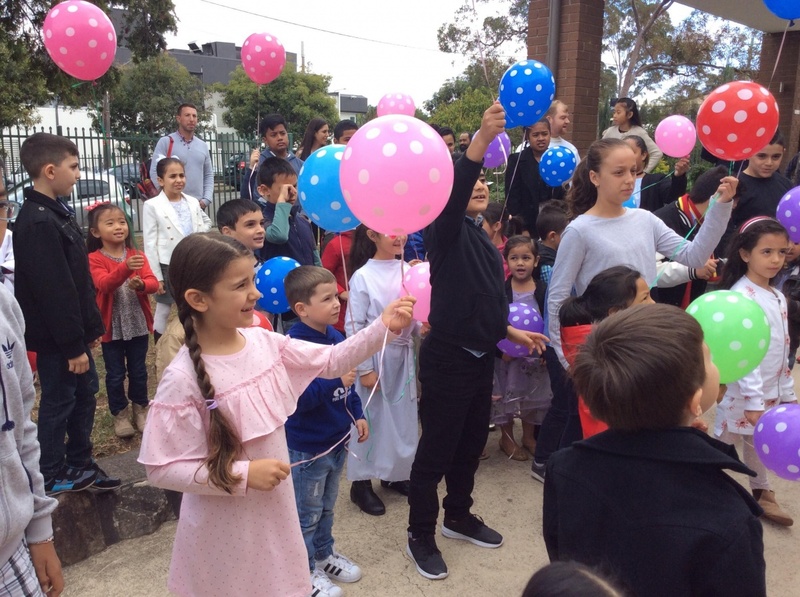 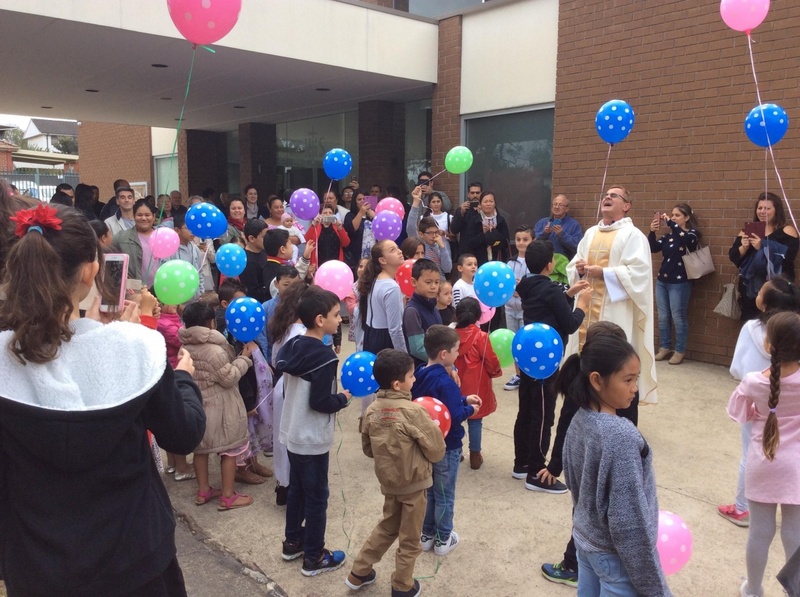 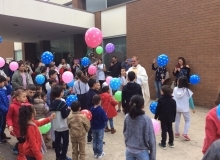 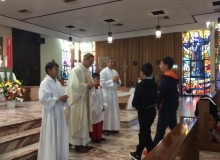 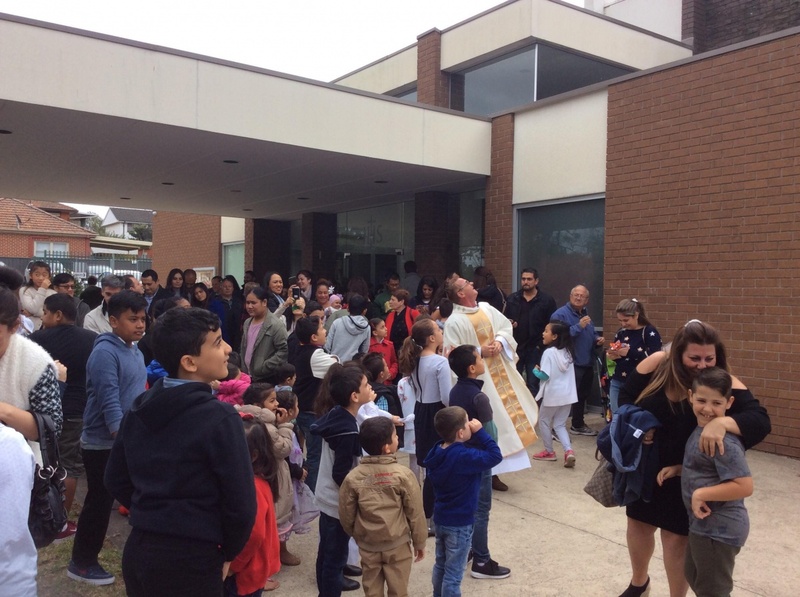 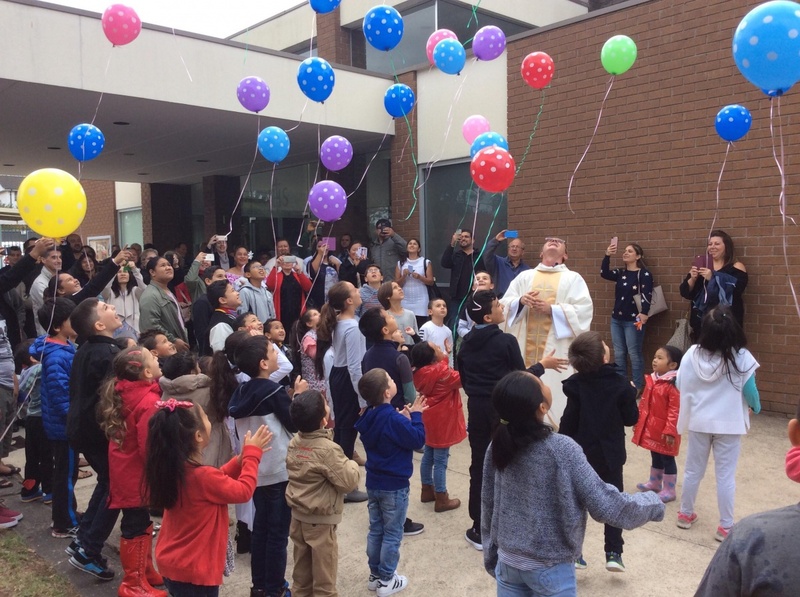 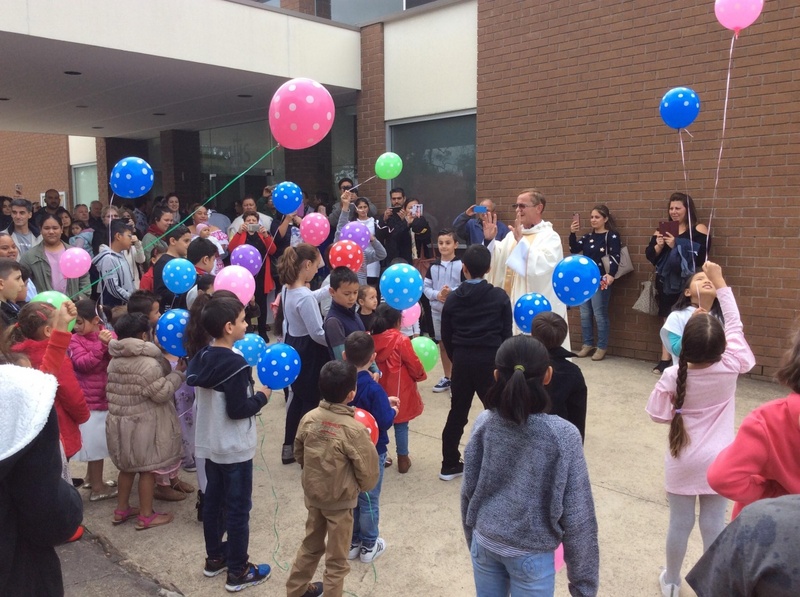 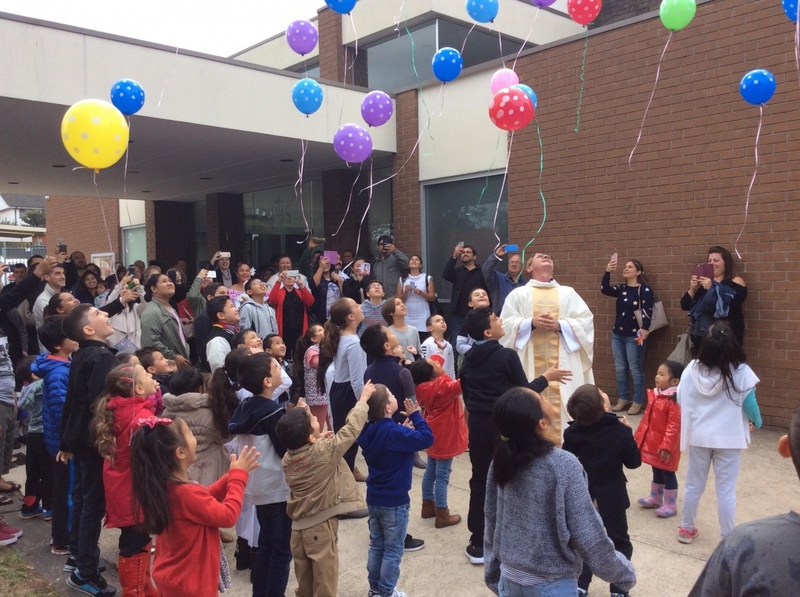 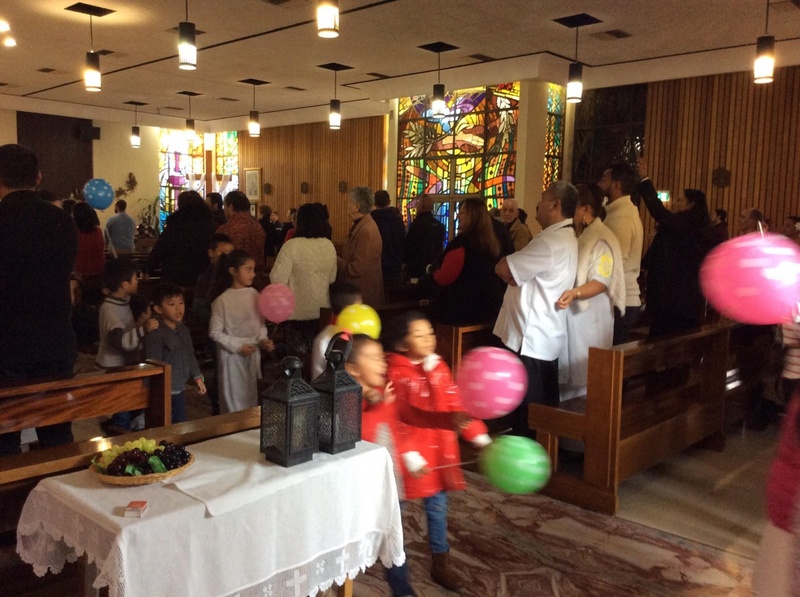 Today at 10:30 am Mass Fr Jarek gathered the Children around the Altar and focused his homily on the Ascension with a visual display using helium balloons. 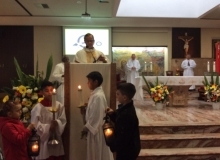 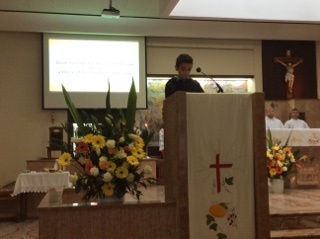 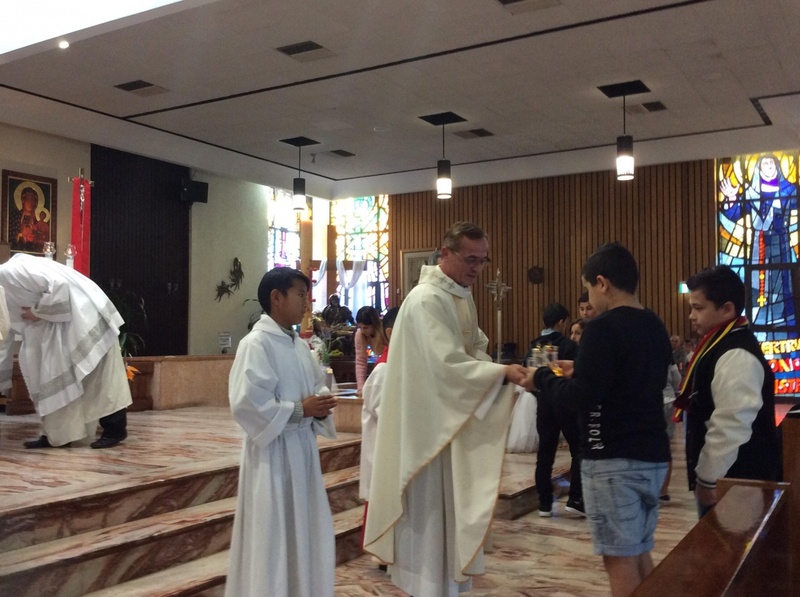 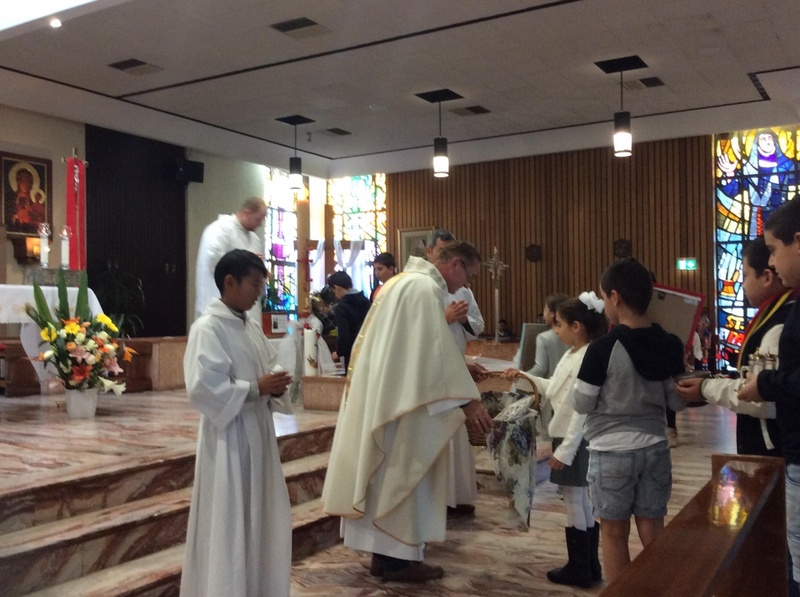 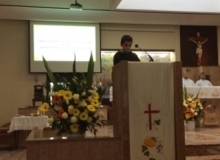 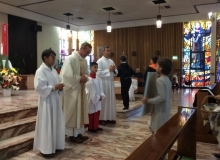 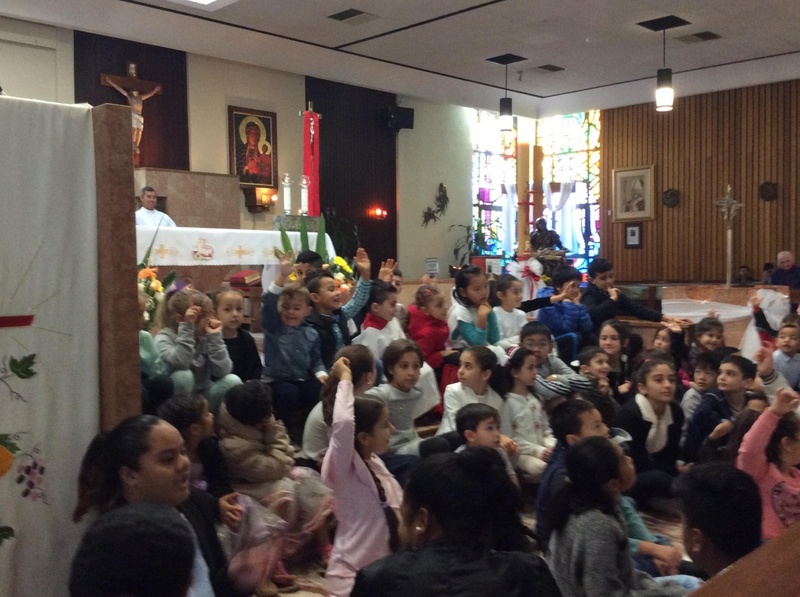 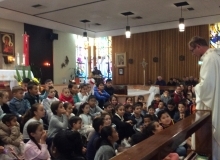 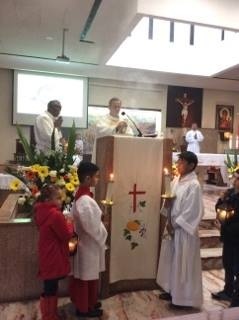 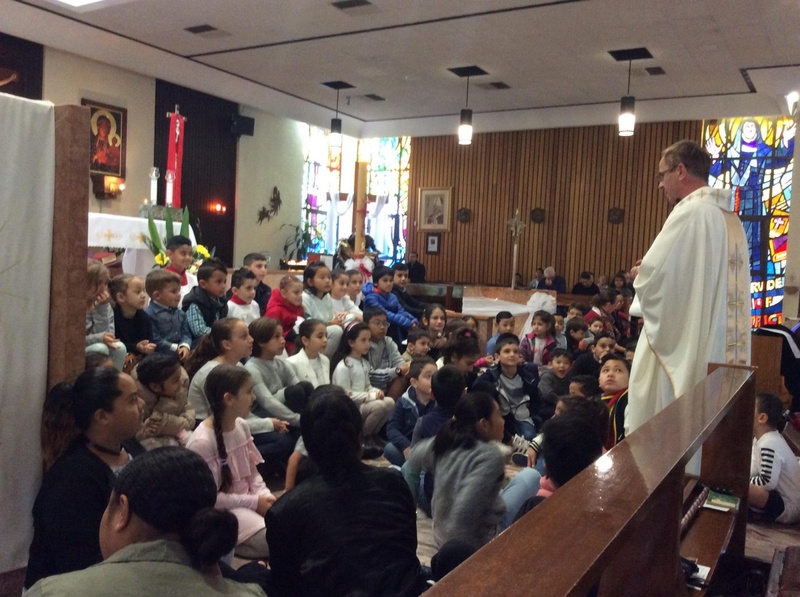 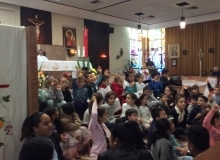 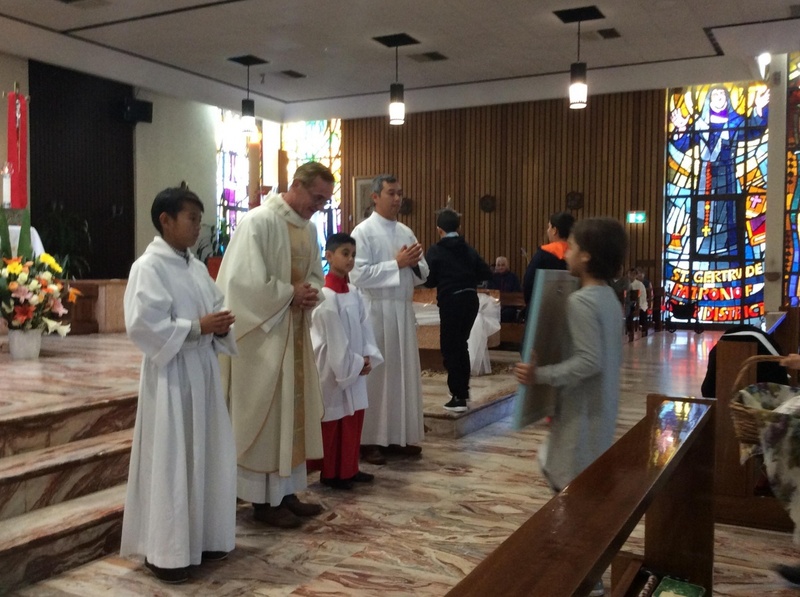 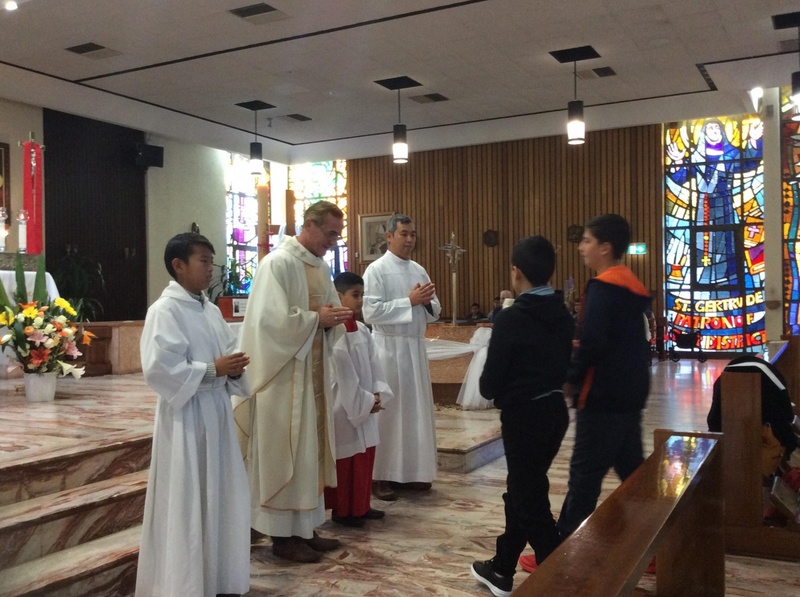 During the Homily the children interacted with wisdom & understanding of the meaning of the Ascension. 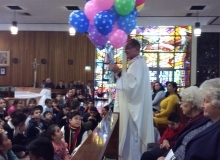 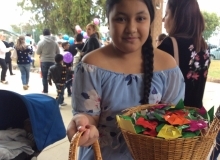 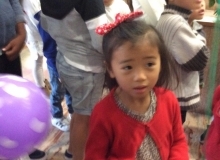 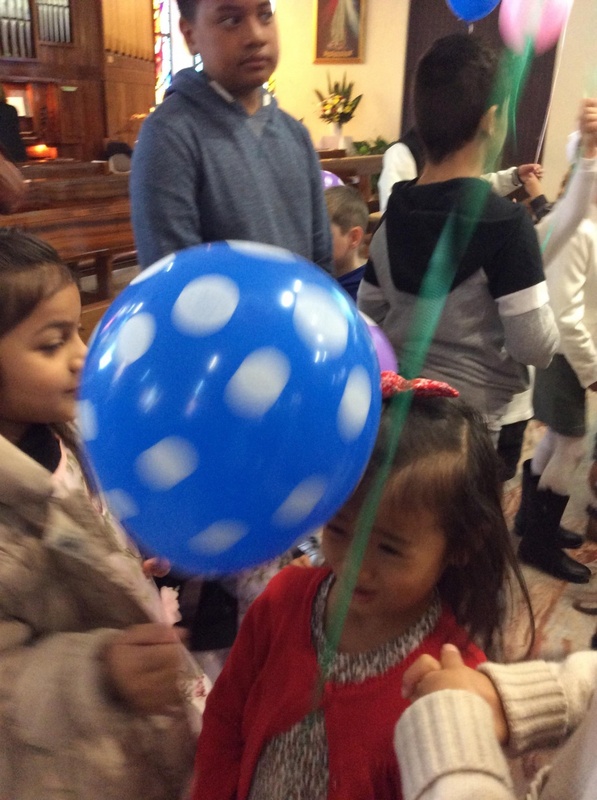 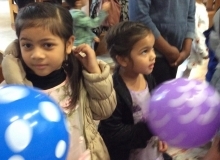 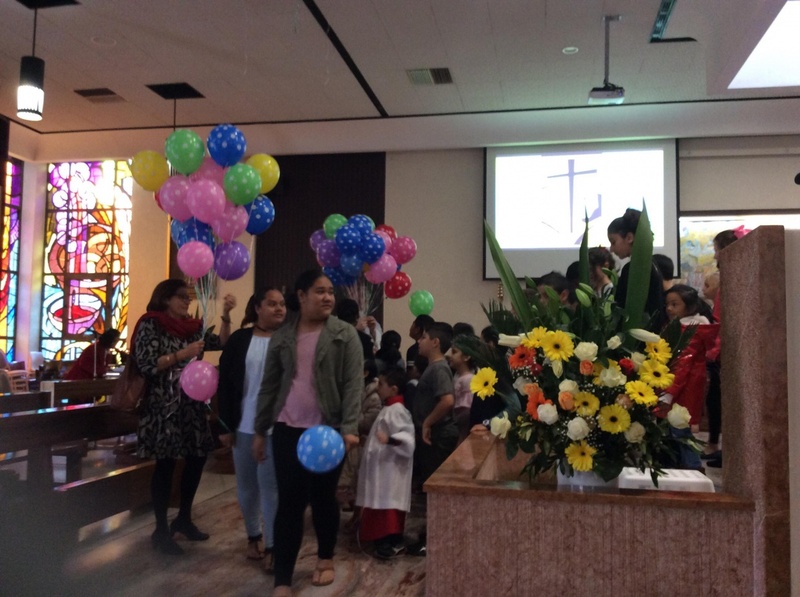 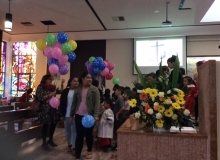 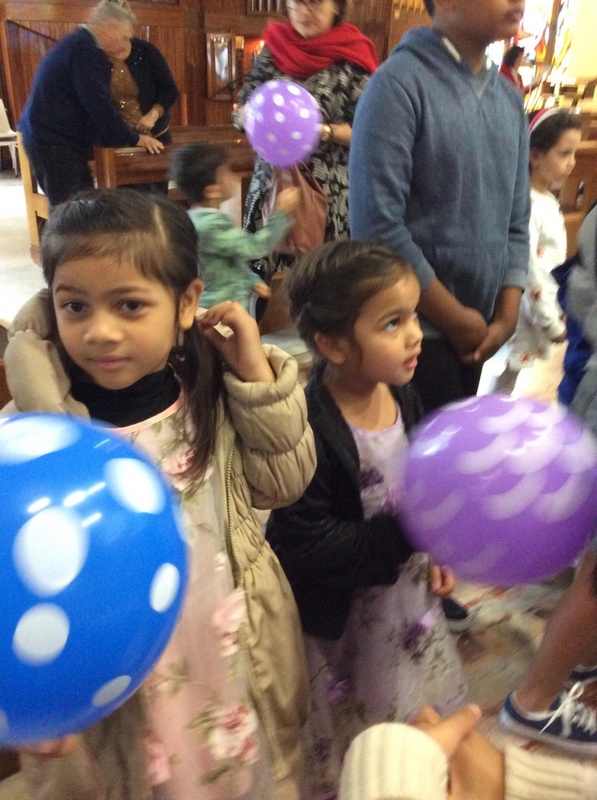 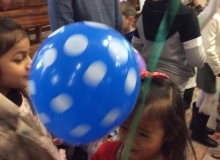 After the final blessing each child was given a balloon. They joined Fr Jarek in Procession to walk out of the church. 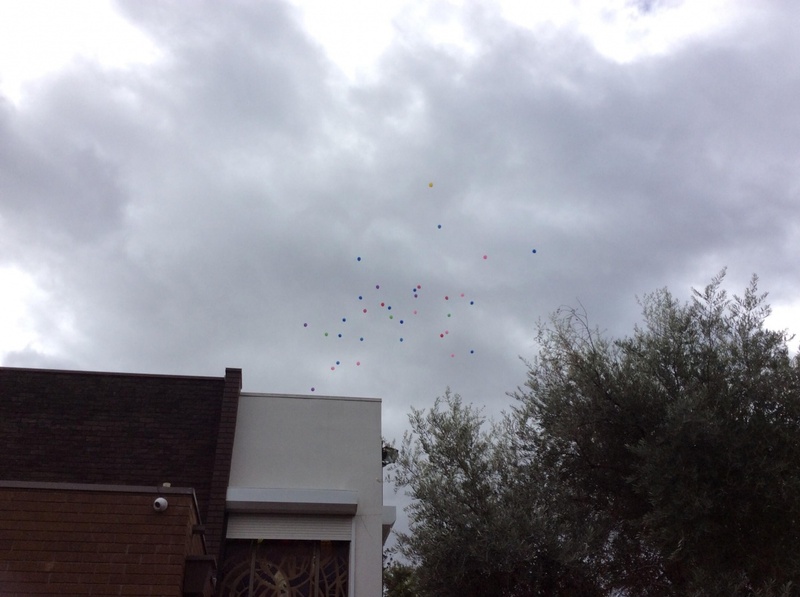 The children gathered in the grass area and on the count of 3 the balloons were released. 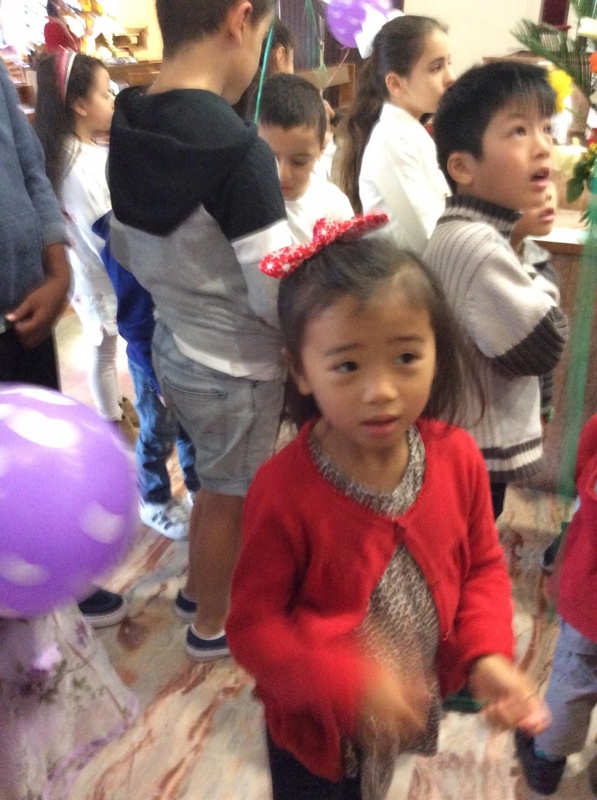 Lots of photos attached!